No one there would ever forget this day. It was the most moving sight the POWs ever saw. At sunrise, eighty officers—bearded, dirty and covered with lice—followed Kapaun up a little rise, to the cold steps of a bombed-out church. They gathered in a circle around him. Kapaun held a crude cross made from broken sticks. Except for the black eye patch, he looked to Mayo like one of the ragged apostles. Kapaun began speaking, and his voice caught; he said he didn’t have the equipment to give them a proper Mass. But then he held up his ciborium, the tiny gold container that before his capture had held Communion hosts he had placed on tongues of soldiers. He opened Nardella’s missal, and as he began to recite from it, the Christians among them realized what a risk he was now taking. He was beginning not from the Easter promise of rebirth but from the dark brutality of Good Friday. As the guards glared, Kapaun read the Stations of the Cross, describing Christ’s condemnation, torture and death. Captives who had been mocked and tormented and beaten listened as Kapaun spoke of Christ being treated in the same way. Kapaun held up a rosary. He asked the non-Catholics to let the Catholics indulge themselves by praying the Rosary; then the Catholics knelt and recited with him the glorious mysteries of Christ rising, ascending, defying death for all time. A voice rose in song. POW Bill Whiteside had a beautiful voice, and he raised it now to sing the Lord’s Prayer, a recital that gave Esensten, the Jewish doctor, goose bumps. Kapaun spoke. His theme: forgiveness. Then they all sang as Kapaun had taught them: loudly so that the enlisted men could hear. Starving men reverently sang at sunrise, the same song Whiteside had sung, the Lord’s Prayer. Kapaun had rallied them all. Servant of God Fr. 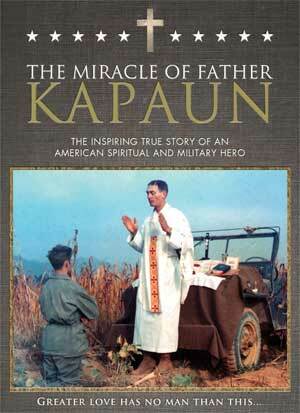 Emil Kapaun may not be well-known. But he should be. The son of Czech immigrants, Fr. Kapaun grew up on a small Kansas farm. 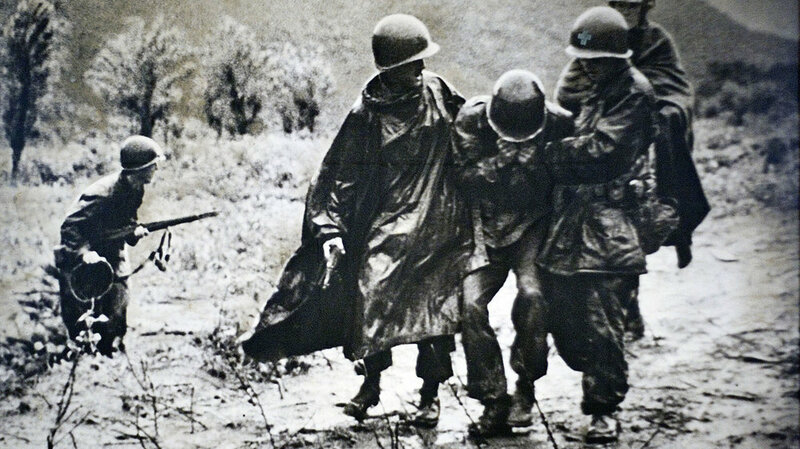 But this seemingly ordinary farm boy became one of the most inspiring heroes of the Korean War and unlike many war heroes, this military chaplain is also on the road to sainthood. His cause for canonization has been opened by the Diocese of Wichita, and two medical miracles attributed to him are being investigated by the Vatican. He has been awarded the Medal of Honor, the nation’s highest military award.